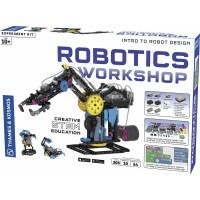 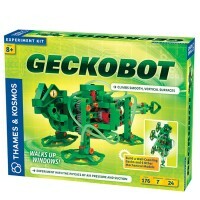 This robot building kit by Elenco is ideal for learning about gear structure, motor principles, and electronic circuits. 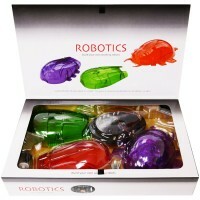 Robot Beetle by Elenco is an infrared remote control kit for older children. 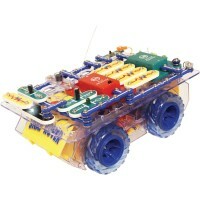 Its microprocessor provides four different channels that allow up to four Robot Beetles to operate at the same time. 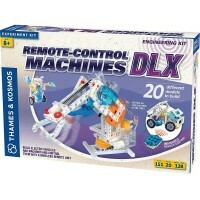 Two motors operate the open, close, lift and lower functions of the large pinchers in the front. 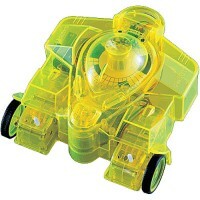 The Robot Beetle moves using six wheels that can move forward, backward, right and left. 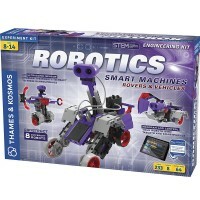 This robot building kit is ideal for learning about gear structure, motor principles, and electronic circuits. 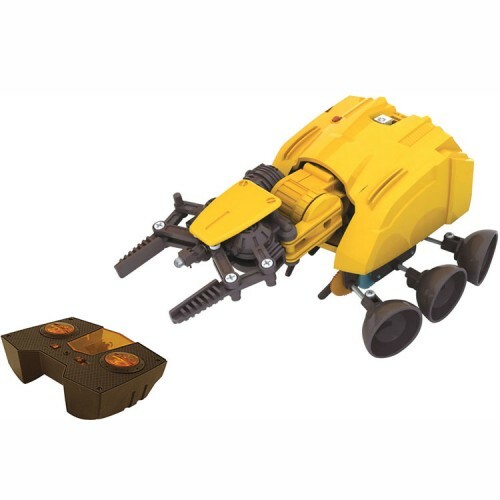 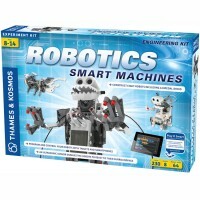 Infrared Remote Control is included in this children robot set. 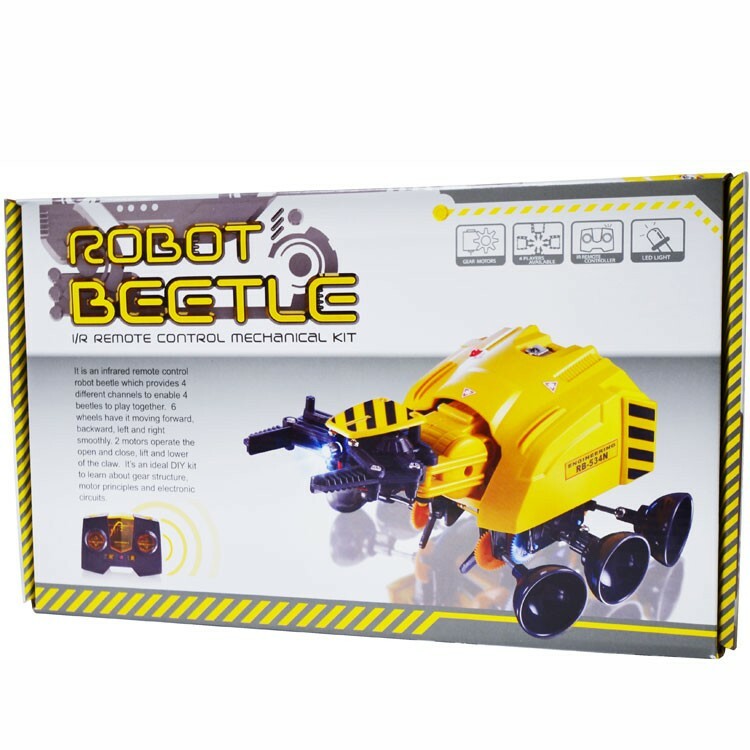 Robot Beetle requires 4 AA batteries and 4 AAA batteries (not included). 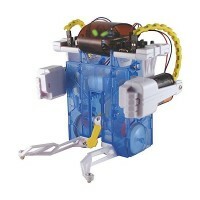 Dimensions of package 7.5" x 12.25" x 3.25"
Write your own review of Robot Beetle.